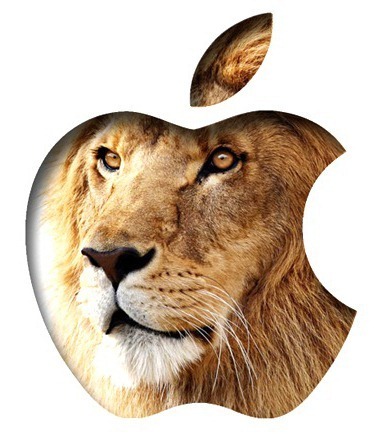 Apple has just released a minor update to its OS X Lion operating system for public consumption. Now at version 10.7.3, the latest update to the “world’s most advanced operating system” comes with support for new languages as well as the usual dose of bug fixes. Since dropping last July as the very first download-only release, these minor updates have been fairly regular as part of every OS X release’s natural life cycle. Much like many other point releases for previous iterations of OS X, this one doesn’t bring much new to the table from the previous update. That’s not to say that this update should be overlooked, though, since by installing them, you are essentially performing maintenance on your Mac’s software, so we’d highly recommend you perform the update as soon as possible. It’s easy for us to berate the likes of Apple for ignoring or being rather slow to amend security flaws, but unless we apply the updates when they’re recommended, we could leave ourselves open to breach. You can find more detailed information in the full full release notes. 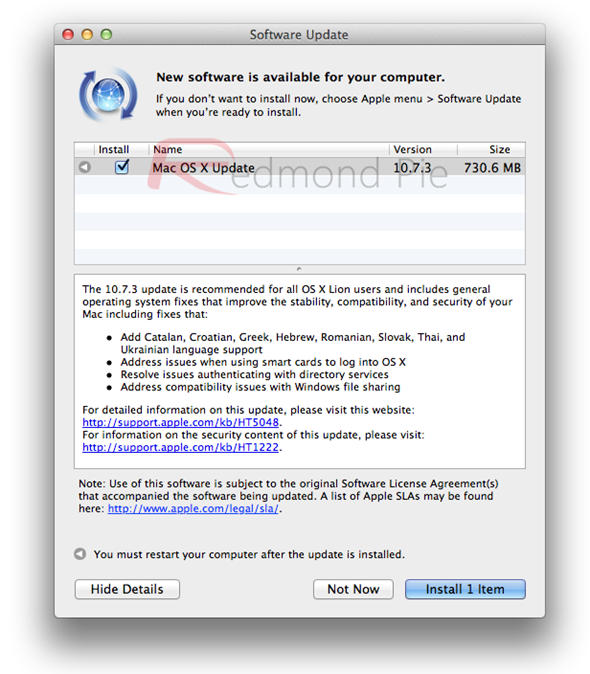 In order to install it, simply head to Software Update from the Apple menu, your Mac will automatically search for updates available and install the update as shown in the screenshot above. Below, we’ve included direct links in case you wish to acquire them manually, and directly from Apple’s servers. As we mentioned before in the post; its highly advised that you update to OS X Lion 10.7.3 to ensure stability on all of your Macs in your household or office place. Although Safari 5.1.3 can be found as a separate download for your Mac, but we highly encourage our readers to go ahead with the full OS X Lion 10.7.3 update to get the complete stability package altogether. Previously, Apple seeded the OS X Lion 10.7.3 beta update to developers and it hinted towards new things to come in future Macs, such Retina display support. Though we’re surprised to see that the final build hasn’t brought that much to the table apart from bug fixes and a new version of Apple’s web browser for the Mac, Safari. Let us know if you encounter any bugs or imperfections by posting on our Facebook or Google + pages.